Ruqya Question and Answers is only affiliated with organisations listed under the affiliates tab any views expressed in the links below are of their own respective organisations. 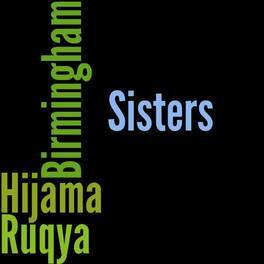 ﻿Please search on Facebook for the term "ruqya" to find practitioners from various locations. Hijama for sisters particularly those with jinn possession or magic. All practices according to the Qur'an and Sunnah. Send a message on Facebook to book an appointment. 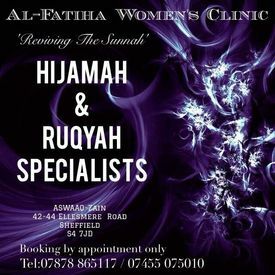 Specialist Female Hijama Practitioner covering Birmingham and Peterborough. 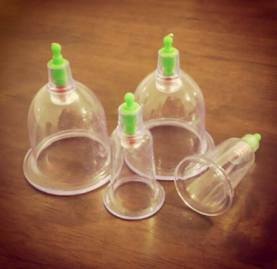 Hijama; used and recommended by the Prophet Muhammed (saw). A personal account of living with Jinn Possession and Magic. 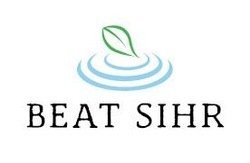 Aiming to educate the public on the topic of the unseen that is treated very 'unseen' itself. 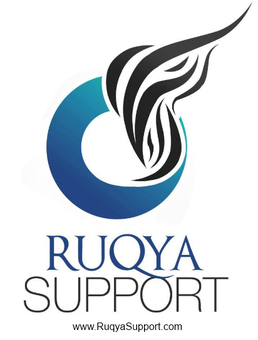 Ruqya Support is here to provide you guidance, advice and emotional support during your difficult affliction with sihr (witchcraft / black magic / Jinn possession).